Homes For Sale In Black Diamond Ranch, Lecanto Real Estate, Black Diamond Golf Course Homes Florida - CENTURY 21 J.W. Morton Real Estate, Inc.
Lecanto is an unincorporated community in Citrus County, Florida. As of the 2010 census it had a population of 5,882 up from 5,161 at the 2000 census. It is home to several county government facilities such as the Citrus County Sheriff's Office and the Citrus Campus of the College of Central Florida, as well as the Lecanto Government Building which houses the Board of County Commissioners, Citrus County Building Department and Code Enforcement, nearby is the Lecanto Health Department, Citrus County Extension Services and the Key Training Center. Central Florida Junior College was established in 1957 when community leaders and citizens envisioned an educational resource that would help Marion, Citrus and Levy counties to grow and prosper. With foresight and determination those community leaders planted the seed that has become the educational hub of the tri-county area. Today the Citrus Campus is its second-largest campus, offering a variety of academic programs and support services. College of Central Florida provides access to high quality, high value baccalaureate degrees, associate degrees, certificates and diplomas, and promotes the economic, social and cultural development of the community. Lecanto Florida is geographically located in the center of Citrus County. 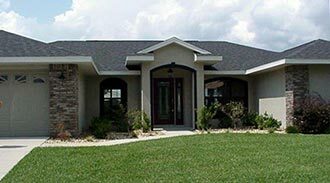 There are several very nice communities in Lecanto including Hunters Ridge Circle, Crystal Oaks, Crystal Glenn and Black Diamond. 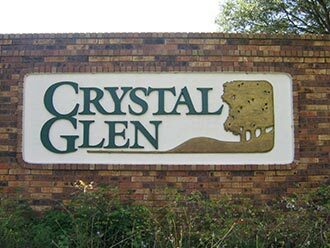 Crystal Glen and Crystal Oaks offer beautiful, modern homes in a pristine setting. Crystal Glen residents are welcome and invited to join the Crystal Oaks Civic Association. With its clubhouse just a few miles away this is a wonderful opportunity to enjoy clubhouse facilities and association activities with members who live in both Crystal Oaks and Crystal Glen. Membership entitles you to the use of all of Crystal Oak's outdoor amenities including the swimming pool, tennis courts, and shuffle board. Members receive a key to the clubhouse so they can use the pool tables and library from 8:00 a.m. to 11:00 p.m. daily. 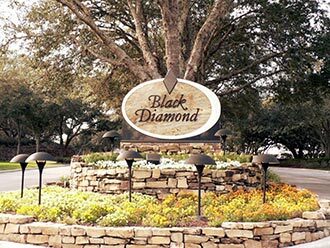 Black Diamond is an exclusive, private-gated, golfing community in Citrus County, Florida. The population was 1,101 at the 2010 census, up from 694 at the 2000 census. There are three incredible golf courses at Black Diamond. The most famous and awe inspiring of which is The Quarry Course, rated among the world’s best golf courses. 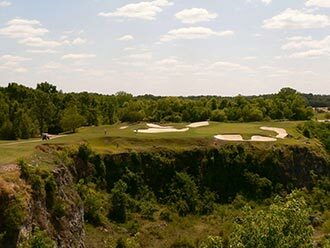 The Quarry Course was designed around a once active limestone quarry pit and plays right up to the edge and then dives straight down into the pit with panoramic views of the 80 foot high cliffs as you continue on to play the green at the bottom of the quarry. The Ranch golf course at Black Diamond is also an 18-hole golf course with undulating hills, brilliant meadows, stands of oaks and pine trees in addition to two lakes and numerous sand traps. Additionally the more recently completed Highlands golf course at Black Diamond sits atop a hillside at the highest point in Black Diamond. This 9-hole Highlands golf course offers lush fairways and breathtaking twenty five mile views of the surrounding countryside on a clear day. For more information on the spectacular homes for sale on the golf course in Black Diamond Florida, contact J.W. Morton today!